If you’re planning a trip to Oregon, you probably want to visit beautiful beaches, hike through dense forests, and kayak to mysterious sea caves. But none of that is possible on an empty stomach! In the Pacific Northwest, visitors need to know where to go for a good meal. We recommend traveling 20 minutes south of Cannon Beach to the quaint town of Manzanita. Manzanita restaurants are diverse, offering fresh and delicious seafood, sandwiches, burgers, and more! Check out a few of our favorite eateries below. 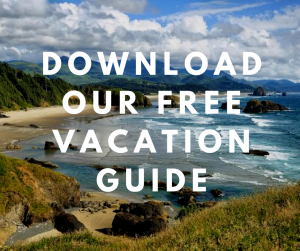 Discover the Cannon Beach area and download our free Vacation Guide! This valuable resource can help you plan the perfect getaway. From Manzanita restaurants to outdoor activities, shops, museums, and events, our guide covers it all. Get your copy today! The San Dune Pub is located 10 miles south of Short Sand Beach and Oswald West State Park. Here, diners enjoy comforting American food and beer in a cozy, lodge-like atmosphere. There’s plenty to choose from on the menu; order a chili dog, BLT sandwich, beef brisket, cheeseburger, wrap, and more. You’ll love relaxing and listening to live music while eating your food! Local Tip: THe San Sun Pub only allows guests ages 21 and up. Get a true taste of Oregon at Big Wave Cafe! This restaurant showcases fresh, seasonal ingredients sourced in Tillamook County. Diners can experience the best of Manzanita’s farm-to-table culture and discover a world where food and community are linked. Big Wave Cafe is a part of the Seafood Watch Program with Monterey Bay Aquarium and only serves seafood that’s been caught in an ocean-friendly way. Come in for lunch or dinner and enjoy razor clams, pan-fried oysters, scallops, burgers, and fried cod sandwiches! Now, If you want to surprise your significant other with a romantic date night, Neah-Kah-Nie Bistro has you covered. The restaurant’s name means “place of God” and comes from a mountain north of Manzanita. You and your spouse can relax in a peaceful atmosphere (complete with soft music and candlelight) and enjoy refined entrees such as chimichurri prawns. Make sure you take a look at their rotating dinner specials! Great food and family service is guaranteed at the Bunkhouse. When you have little time to search for a place to eat but want food that’s comforting and delicious, Bunkhouse is ideal! Treat yourself to their classic house burger with ham, bacon, cheese, and avocado, or opt for the grilled halibut sandwich with lettuce, tomato, onion, and tartar sauce. Save some room for a cup of Sleepy Monk coffee and a slice of homemade pie for dessert! For a cozy spot with delicious pastries and freshly-brewed coffee, head to the Bread and Ocean Bakery. This bakery offers a menu full of housemade sandwiches (made with fresh bread!) and soups. For dinner, choose from entrees like hoisin and honey chicken wings, meatloaf, shepherd’s pie, and crab quiche! It’s time to put all your worries to rest and relax in the best setting possible! 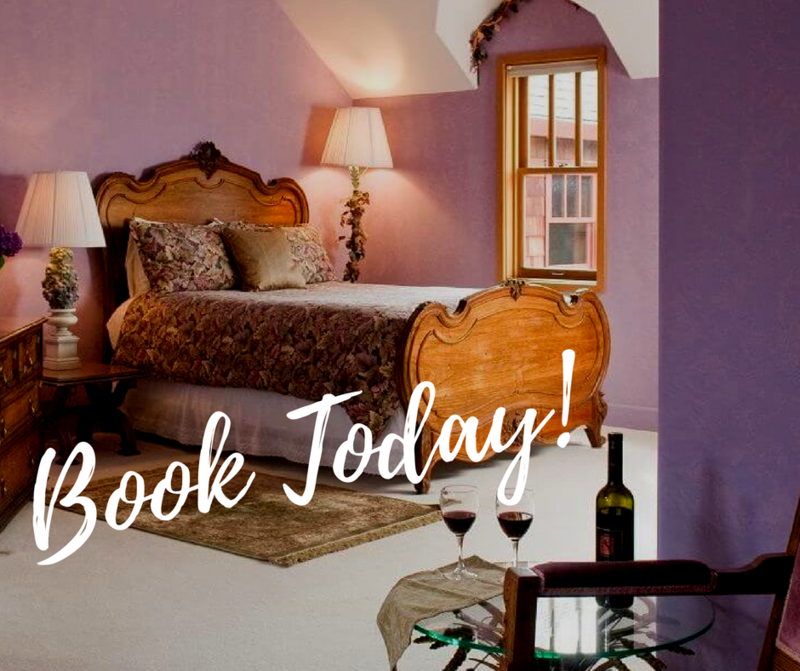 Once you finish your meal at one of the best Manzanita restaurants, come home to a splendid room at Arch Cape Inn. Whether it be for a quick afternoon nap or a good night’s sleep, our stunning B&B is ideal. Browse our accommodations and pick the atmosphere you prefer! Each room offers a unique setting that encourages guests to unwind. The Heather Room, for example, features dramatic vaulted ceilings, charming Louis XIV furniture, and a seating area. Admire the endless forest from your private deck with a glass of wine in hand, then fall asleep to the sound of crackling wood in your fireplace! Wake up with a big smile on your face and join us downstairs where a delicious breakfast awaits you.